Same properties as traditional white spirit but with reduced odour. Can be used for thinning paint, cleaning brushes and general cleaning/degreasing. Hazard Safety Codes: F, Xn, R10, R65/66. 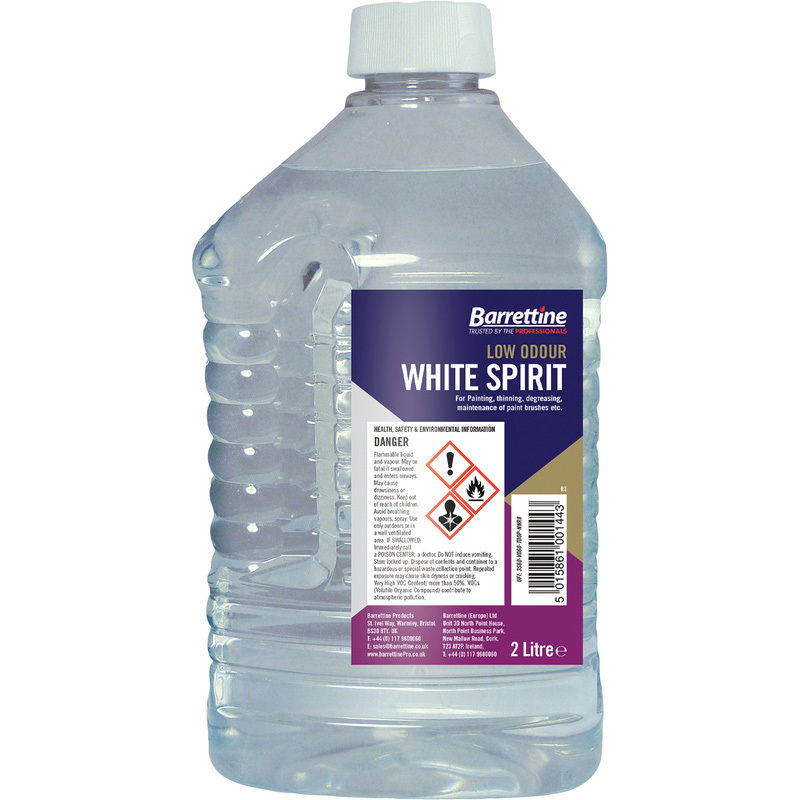 Low Odour White Spirit 2L is rated 4.6 out of 5 by 22. Rated 5 out of 5 by Gumpbie from Much less smell Works as good as the original but a fraction of the smell. A bit more expensive but worth it especially if using in a small area with limited ventilation. Rated 4 out of 5 by CMVPS from Does the job its required for. Did the job its was required for. Rated 5 out of 5 by Manana from Good product. Bought it to remove excess teak oil; worked a treat. Rated 4 out of 5 by Artycrafty from Very good price Works well. Bought it as artist oil painting thinner and brush cleaner. Rated 4 out of 5 by Gibbo41 from Good value I found this product was very good value!